Ever wanted to know how it feels like to be the first reader of your favourite comics? Well, French illustrator Stephanie Hans has made that into a career. 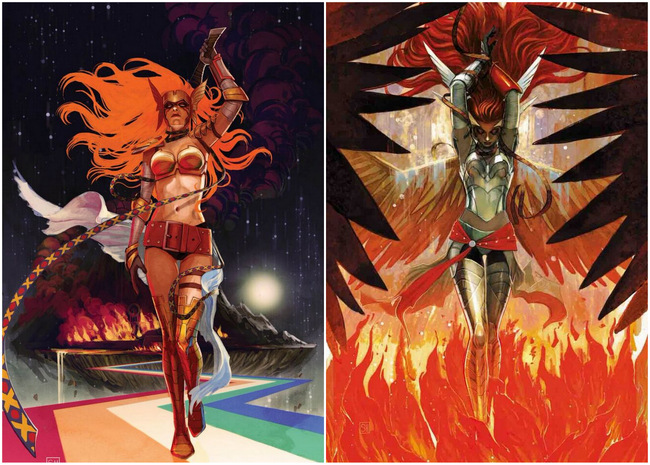 Her unique painted style has appeared on numerous Marvel series covers, from Thor, Angela: Asgard’s Assassin to Storm. 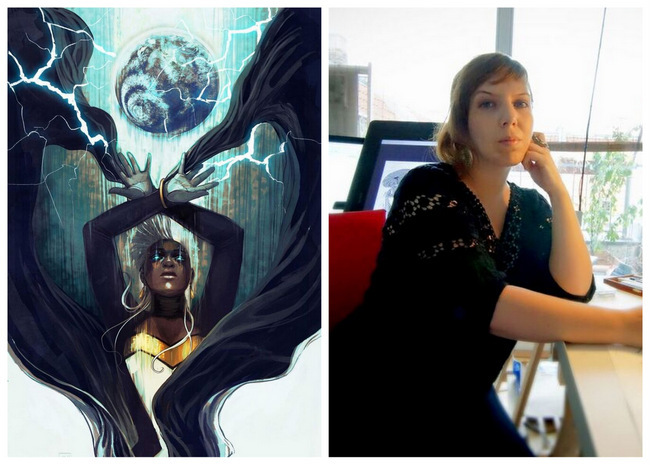 It is more than just the aesthetics that she brings to each series, she translates the characters from the pages, to the covers, bringing to life each and every one our beloved characters. She will be making an appearance at the annual STGCC happening at Marina Bay Sands Halls E & F from 10 – 11 September 2016. Before the big event, we got the chance to ask her a few questions for fans and those new to the comic scene to know more about her! 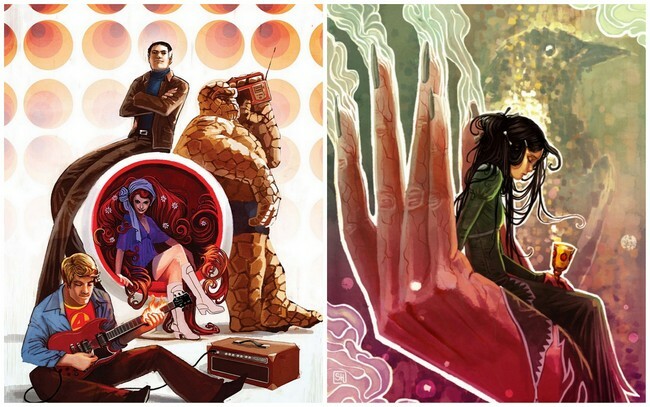 Marvel Covers by Stephanie Hans. Your painted style has an atmospheric sense to it, and is exquisite. Have you studied art or were you self-taught? Also, how did you develop your unique style? I attended an art school for five years in France called Ecole Superieure Des Arts Décoratifs de Strasbourg, but to be totally honest, I was a very bad student. It was a long time ago and digital painting was very new, and definitely not taught there. I learnt a lot through the conceptart.org website later. I also have a thing for classical painters and illustrators. It shapes my style. Mainstream titles (from Marvel) have bigger-than-life characters that have legions of fans. What’s your creative process in bringing each of them to life in your style? What has been the most satisfying aspect on working on them? I don’t really have a better method than the good old “whatever works” to be honest. I like to read the history of the character to get familiar with it, do a google image search, and I try to give solid flesh and bones to the characters. 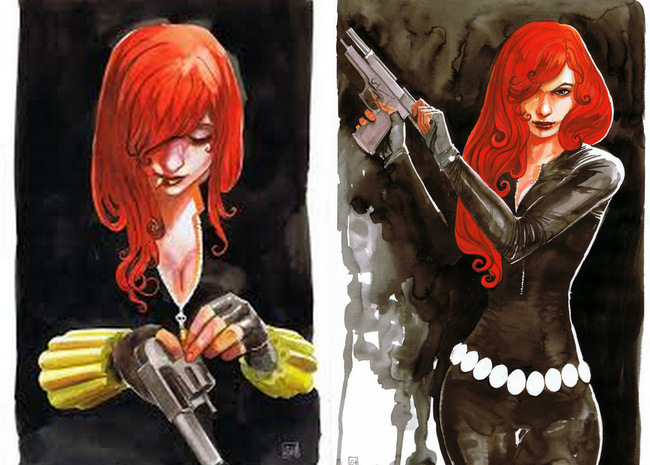 The most satisfying is, of course, to read that the fans liked the way I brought them to life. There have been a lot of comic book-to-TV/movie screen adaptations of late, is there a title you are looking forward to or a series you would love to see get adapted one day? I would love to see stories of lesser known characters. Maybe even new ones exploring the ninth realms, with some crossovers. You traveled to Japan and Korea this year! Both are stunning countries with a lot of history despite its technological advancements, was there anything there you saw/heard/felt that has inspired you? I have no ideas yet about how all these travels are going to affect me artistically speaking. I guess one way or another it will happen, but it wasn’t the main purpose of my trip. I was seeking some peace of mind and soul after a rough last year, and at least in this, I found some achievement. On the topic of travelling, what do you carry on you for work or when inspiration hits on-the-go? I have a Cintiq companion, with an ultra-thin fold-able keyboard, as well as an iPad pro. I also carry some notebooks of different sizes, and two cameras. Any words of encouragement for your fans or aspiring artists out there? Being an artist is not easy, it is rare to have instant success. I always see it as a very long run. The ones who start too fast will finish on their knees much too soon or too often. The important thing is to manage your efforts; keep running, don’t stop.